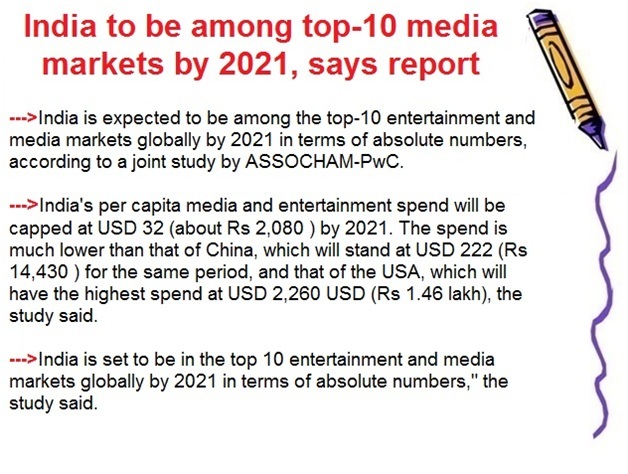 ﻿ India to be among top-10 media markets by 2021, says report. India to be among top-10 media markets by 2021, says report. The country's per capita media and entertainment spending is likely to be capped at USD 32 or Rs 2,080 by 2021, the study noted. It attributed the growth of OTT content to increasing penetration of smartphones in the country and continuous rise in data consumption. "During the same period in India, the segment is expected to grow from USD 297 million to USD 823 million in 2022 at a CAGR of 22.6 per cent. With increasing smartphone penetration and lower data tariffs, VoD is showing promising growth," the report said. Globally, the industry has recently witnessed a shift in focus from content and distribution to the user experience. "India's per capita media and entertainment spend will be capped at USD 32 (about Rs 2,080 ) by 2021. The spend is much lower than that of China, which will stand at USD 222 (Rs 14,430 ) for the same period, and that of the USA, which will have the highest spend at USD 2,260 USD (Rs 1.46 lakh)," the study said. 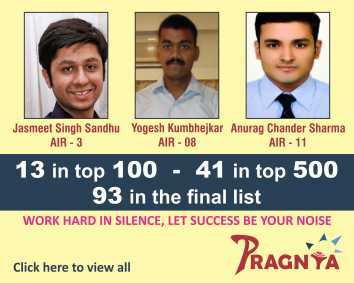 In India OTT players, including Hotstar, Amazon Prime and Eros Now, are not only competing among themselves but also with DTH players and other means.